It's cold season and sure enough, as I sit here I'm on day 6 of one and miserable. Mine seems to have been brought on by last week's 80 degree Monday dropping to mid-30's and windy/rainy/snowy Wednesday wreaking havoc on my immune system. But then... I wasn't thinking about wiping my hands down after being at my kid's football game and then hitting the convenience store for a lottery ticket afterward (I was feeling lucky after they won the game but all I got out of it was this cold lol). 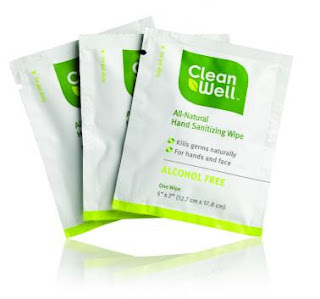 If I had been on the ball I'd have given CleanWell's Natural Hand Sanitizer Wipes a go as soon as I got out of the frigid outdoors to combat the germs and maybe not be feeling so awful today. I haven't commented on it on the blog yet but something I've recently been trying out in my household cleaners is one that is Thyme based. Its antibacterial properties make it a safer, natural alternative to the nasty chemical germ fighters that upset my asthma and cause skin irritation. 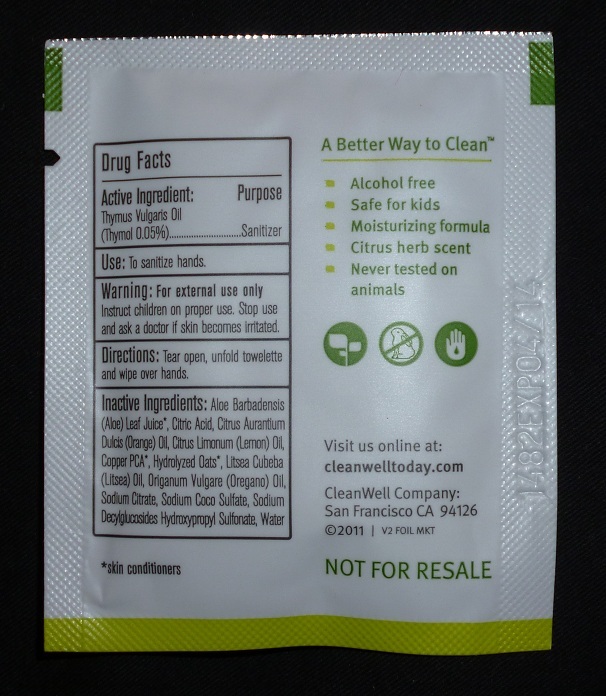 Similarly, CleanWell's Natural Hand Sanitizing Wipes use a patented Thyme formulation to kill germs without the use of alcohol and other harsh chemicals. They contain aloe too, so they leave your hands soft. 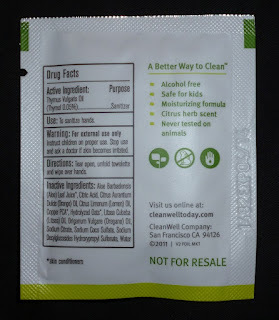 But what I personally love about them is that the wipes are biodegradable, which means I can swipe them over my toddler's hands before they dry out and then toss them, knowing they're not contributing to long-term waste. And don't worry, our Naturals Voxbox sample size isn't the only way you can get them. CleanWell Natural Hand Sanitizing Wipes can be purchased in boxes of the individual packs if you'd like them that way but I'd personally recommend the Pocket Packs (containing 10 wipes each) for stowing in purses, diaper bags, and backpacks. You can also buy them in Canisters of 40 wipes that's be great for the car. If you don't care for the herbal Original scent, there's also Orange Vanilla wipes. They also have Hand Sanitizer Sprays if you don't care for wipes. While I love a certain other company's foaming hand soaps because of their yummy scents and antibacterial buttkicking, I'm actually planning to switch to CleanWell's once I can find a local store that carries them. Their Natural Antibacterial Foaming Handsoap has the same germ destroying NATURAL & NON-TOXIC ingredients and comes in more luscious fragrances including Lavender, Ginger Bergamot, and Spearmint Lime. 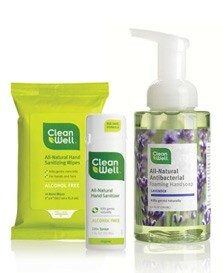 I can still enjoy soaps that smell good and fight bacteria but feel good about the ecofriendly qualities as well. Does it get any better than that?